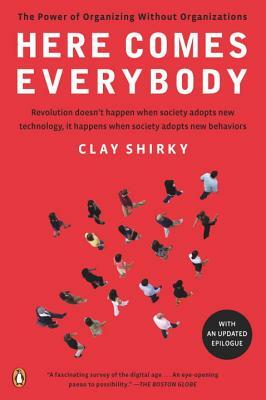 Clay Shirky teaches at the Interactive Telecommunications Program at NYU, where he researches the interrelated effects of our social and technological networks. He has consulted with a variety of Fortune 500 companies working on network design, including Nokia, Lego, the BBC, Newscorp, Microsoft, as well as the Library of Congress, the U.S. Navy, and the Libyan government. His writings have appeared in the New York Times, the Wall Street Journal, the Times of London, Harvard Business Review, Business 2.0, and Wired, and he is a regular keynote speaker at tech conferences. Mr. Shirky lives in Brooklyn. "Clay has long been one of my favorite thinkers on all things Internet - not only is he smart and articulate, but he's one of those people who is able to crystallize the half-formed ideas that I've been trying to piece together into glittering, brilliant insights that make me think, yes, of course, that's how it all works." -Cory Doctorow, co-editor of Boing Boing and author of Overclocked: Stories of the Future Present. "Clay has long been one of my favorite thinkers on all things Internet-- not only is he smart and articulate, but he's one of those people who is able to crystallize the half-formed ideas that I've been trying to piece together into glittering, brilliant insights that make me think, yes, of course, that's how it all works." -Cory Doctorow, co-editor of Boing Boing and author of Overclocked: Stories of the Future Present.